private gated community,only a five minute drive to the heart of San Felipe. through an access directly in front and across the street. This home has a master bedroom, with a queen-sized bed and attached private bathroom. by natural lighting. There is also a daytime sofa that can be used as a bed for extra guests. The kitchen is fully equipped with all cooking utensils, stove/oven, microwave, coffee maker, toaster and a blender for your tropical drinks, plus a BBQ. All bed linens, soap and towels are also provided, so just bring your toothbrush and enjoy your stay. Check in time is 3:00pm. and check out time is noon. My name is Juan Carlos, I was born and raised in Argentina and moved to the United States. Fell in love with the country and decided to stay. Got married and had two children who later on gave me the privilege of becoming a grandfather to four grandchildren. 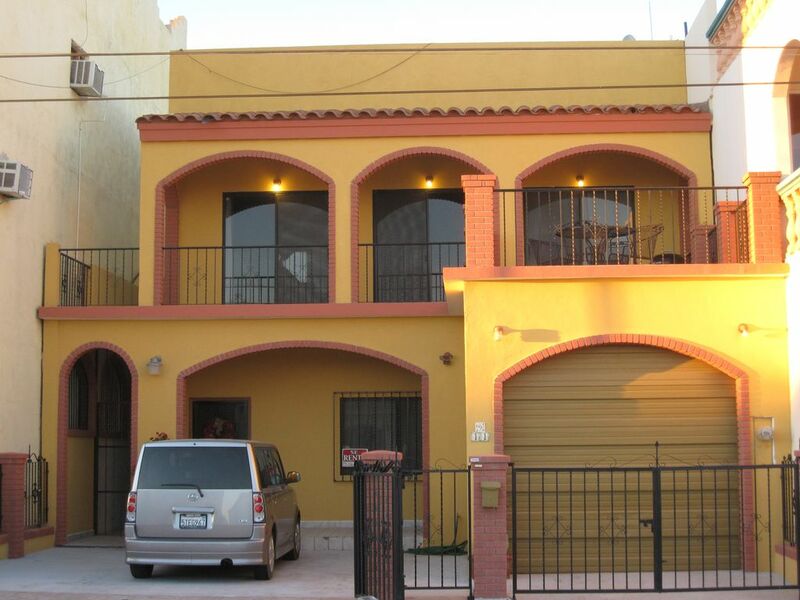 I decided to buy this property because I was invited to spend some time in San Felipe. I grew to like the place and realized this property was for sale, so I took the opportunity and bought the house. I have friends who live there and every month I go back because of it's beautiful scenery. What made me fall in love with the place is its scenery and the safe environment. Look at the pictures and you'll fall in love too. A picture is worth a thousand words. Fits up to 6 cars. Has a table with chairs with additional portable seating. One car garage and over-sized gated parking spaces. Air conditioned throughout with super quiet mini-splits for your comfort and ease of use. Directly in front of access to white sandy beach. Satellite T.V. with DVD/CD player. Washer and dryer available in large laundry room. WIFI also available for your use. Reliable signal. The rooms were clean the location was perfect. I would definitely stay there again. The house had working AC and utilities including plates, pots, pans, cups, and everything you needed. My boyfriend and I are both in our mid-fifties and we were looking for a home just like the one we found, that being Sea Breeze Villa. It is large, quiet, clean and comfortable. The art on the walls was beautiful in the upstairs living room. Even the doors were artistic. We would relax on the front patio and just listen to the waves. The neighbourhood is friendly and we made some new friends while we were there. We will definitely be coming back to this gracious home.